The labor unions announced Monday evening an agreement to a preliminary dialogue with the Catholic Church as mediator, but would continue the strike action that today enters its 9th consecutive day. ﻿ On a tour of the various news television channels Monday night, President Carlos Alvarado continued his rhetoric of the importance of the Plan Fiscal (Tax Reform), while continuing an open door policy for dialogue. The President did back off on the call that the unions, as a condition of dialogue, call off the strike. 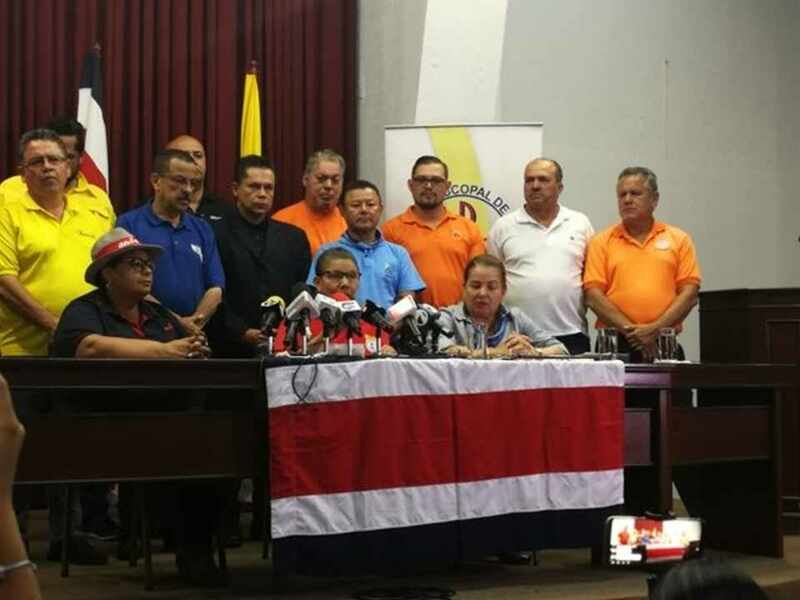 The union leadership said it met, in a previous meeting, with the Archbishop of San José, José Rafael Quirós Quirós and other priests, to express their will to achieve a rapprochement between the parties, but was emphatic in reiterating its rejection of the “Fiscal Combo” and its explicit request that there be no repression against the people who are demonstrating. “The indefinite strike continues and will not be postponed until the Bill is withdrawn,” said the statement.